Here is another gift for our DwarkaMai members. This is a small program which can run on your PCs. 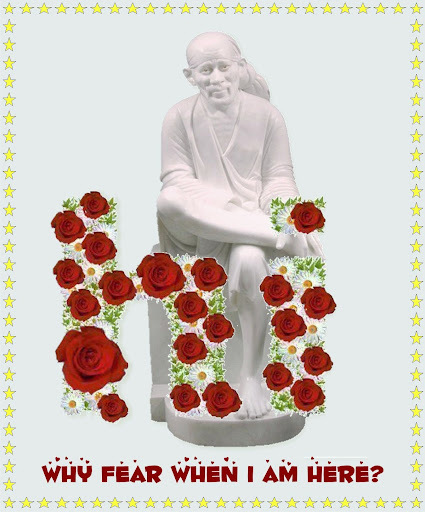 It will place a beautiful Photo of Sai Baba along with Ganesha and Hanuman on your desktop. You can drag it around on your Desktop. There are a couple of other options available if you right-click on the photo like Always on Top and Transparent View. This will be a wonderful experience to have it on your desktop. It should not take more than 30 seconds to download. This program is virus and spyware free and safe to use. 2. And Make it Always on Top. It will be wonderful experience. It is really good and wonderful. Thanks for your wonderful way of wishing us all for Diwali. Beat wishes to you and all your family members. Its a very beautiful Diwali gift. thank you very much for your beautiful baba pic. i am so happy to recive. Thanks a lot for the little cute Saibaba with Ganesh and Hanuman destopmate. A nice deepawali gift for Saidevotees which has come on this auspicious Thursday. I extend heartiest deepawali greetings to all . VERY NICE N LOVELY DWALI GIFT RAVI JI! Ohhhhhhhhhhhhhh So sweet ... I have placed it in my desktop..